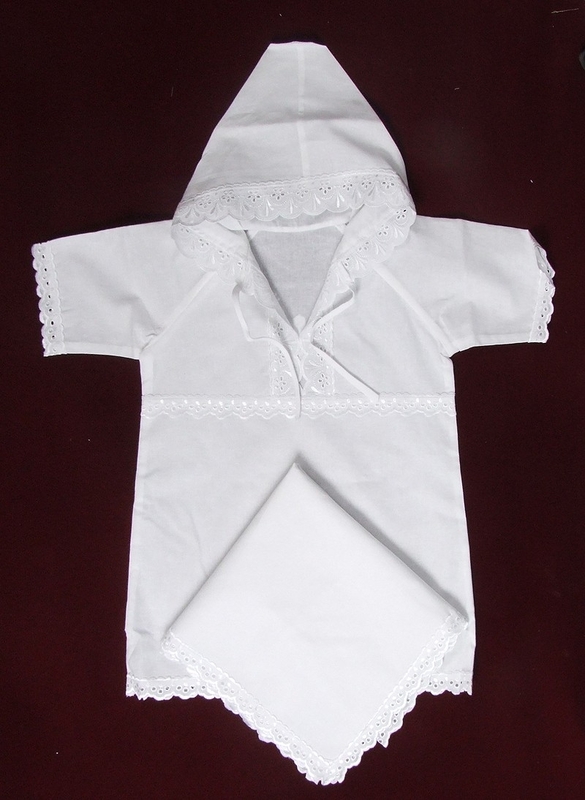 Looking for beautifully embroidered baptismal clothes to dress your adorable baby in? 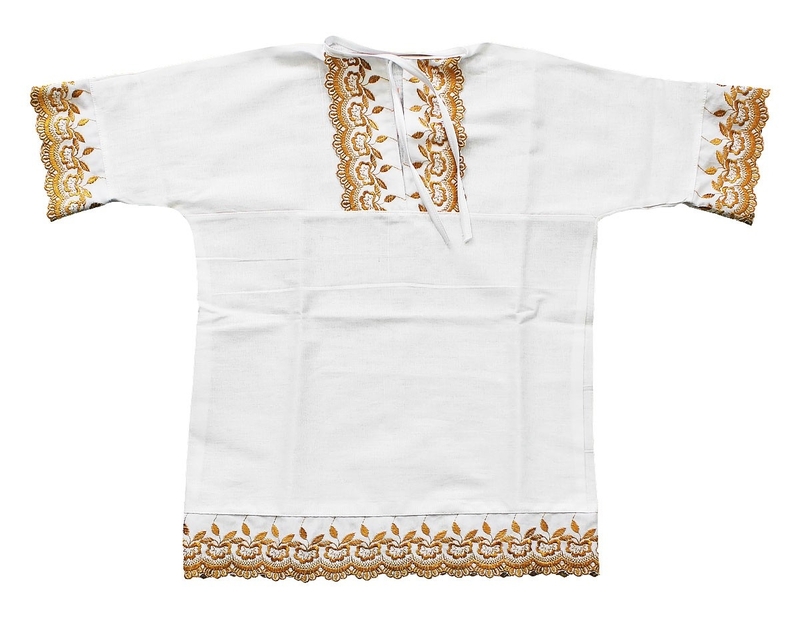 Istok Church Supplies presents a wide variety of well-crafted Orthodox baptism clothes that have been inspired by traditional designs. First of the Seven Sacraments, the baptism ceremony for a baby is a joyous and solemn occasion. It signifies the joining of the candidate with the Kingdom of God, the Church. Each act of the Sacrament has special significance and meaning. 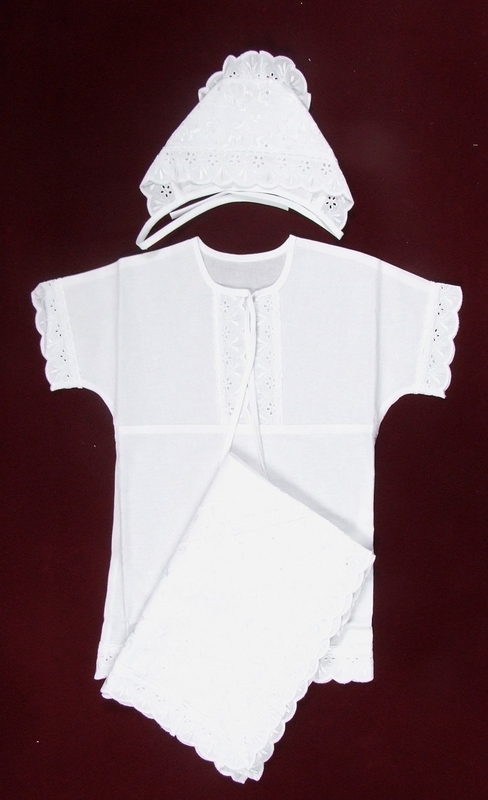 The putting on of new clothes signifies that the recipient has been transformed and blessed with a new life. 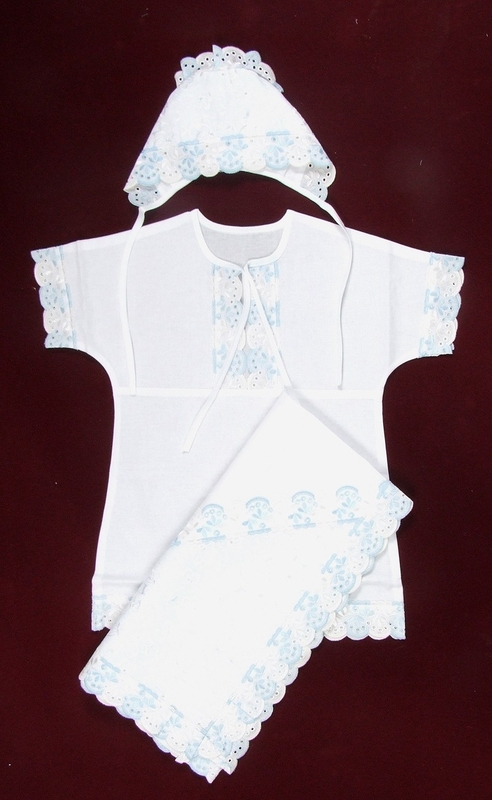 Orthodox Christian baptism clothes, otherwise called paschal roushnik, are always in white color– to express purity of soul after the body has been washed of the consequences of the Original Sin. 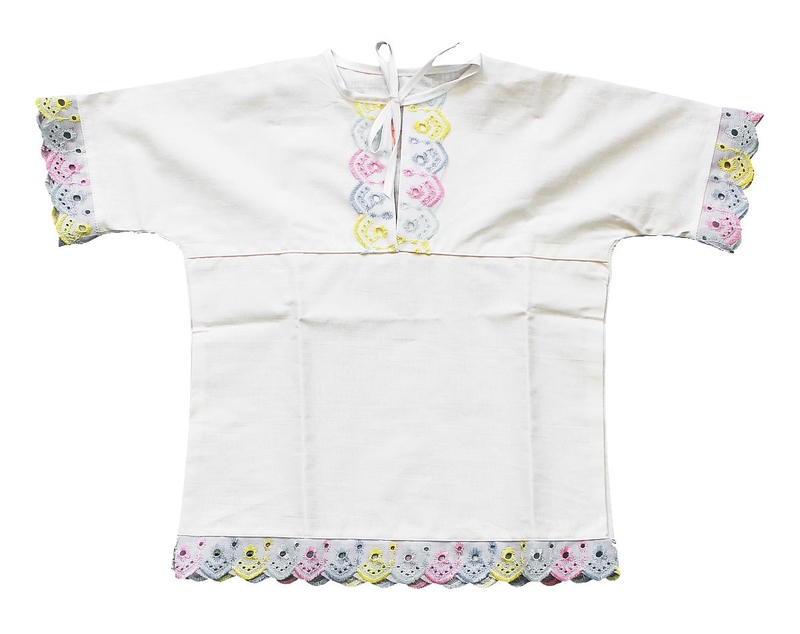 Our embroidered Orthodox baptism clothes for baby boys and girls are white in color and made from 100% cotton fabric so that the baby feels comfortable during the ceremony. 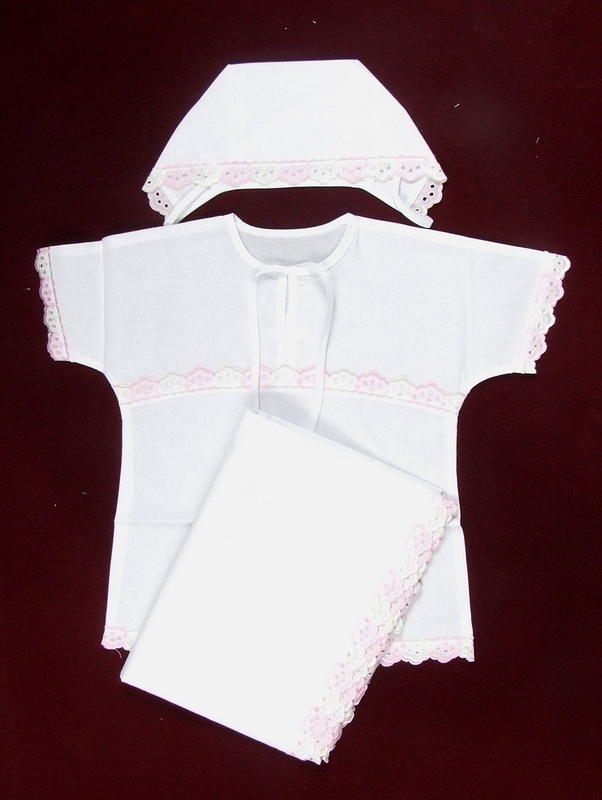 Baptism clothes for boys resemble the sticharion or server’s robe. 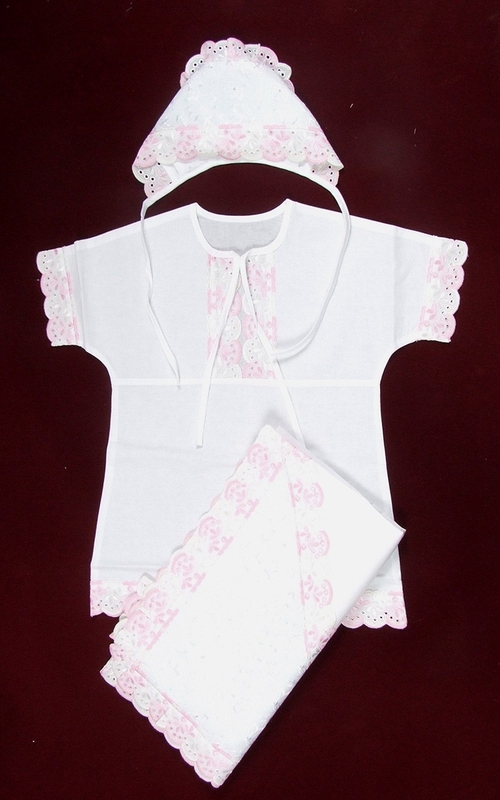 For baby girls, we have embroidered baptism gowns that are paired with a bonnet – together they make an enchanting set. 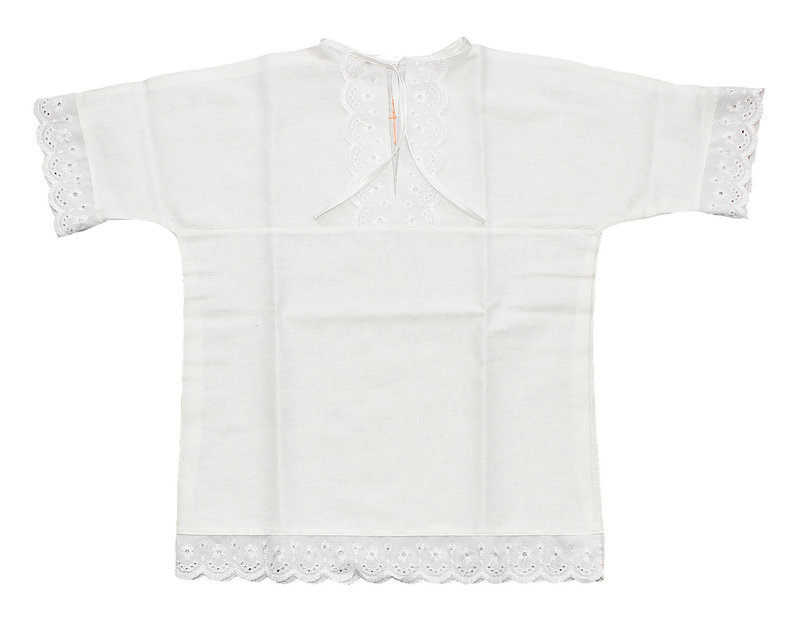 We are sure your little one will look like an angel and you’ll always remember the look long after the day is over. 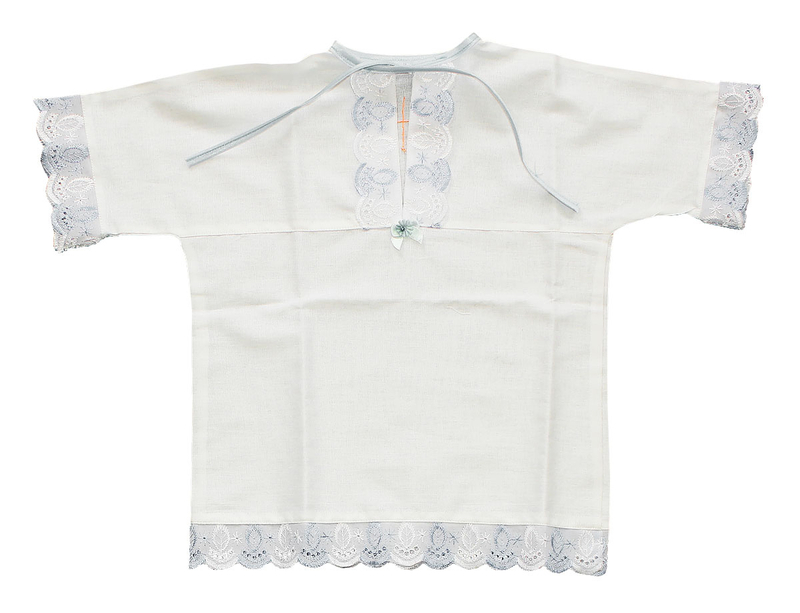 The embroidery featured on the baptism clothes we offer is subtle and elegant – perfect for the occasion. 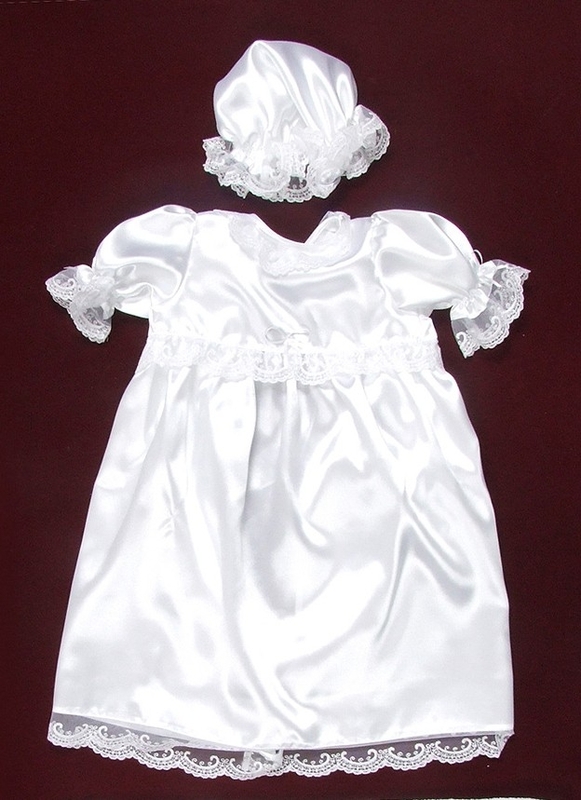 Baptism is a proud and momentous occasion in any Orthodox Christian parent’s life - after all it signifies their child’s acceptance within the Church and community. 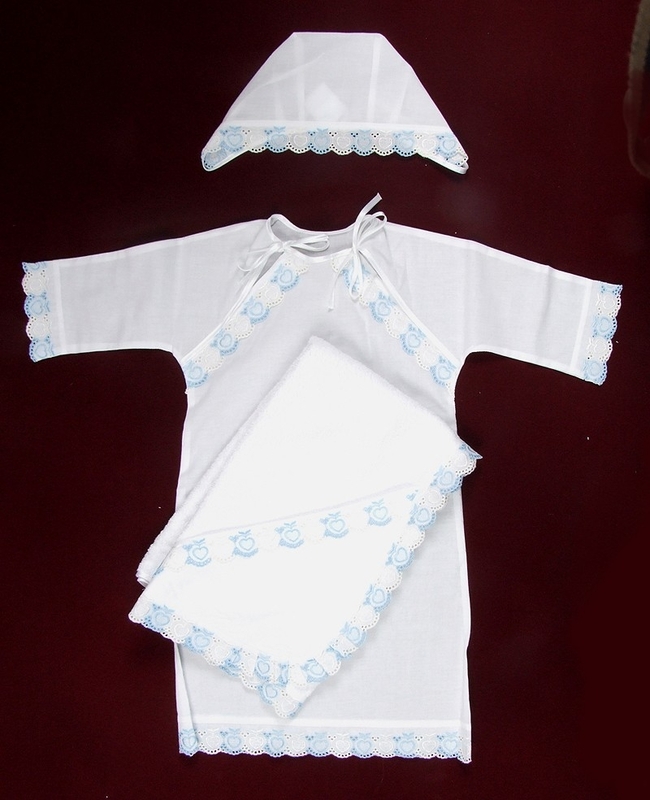 Whether you want baptism clothes for newborn girls and boys to use on your own baby or to gift someone, we are confident you will like our collection and reasonable prices. 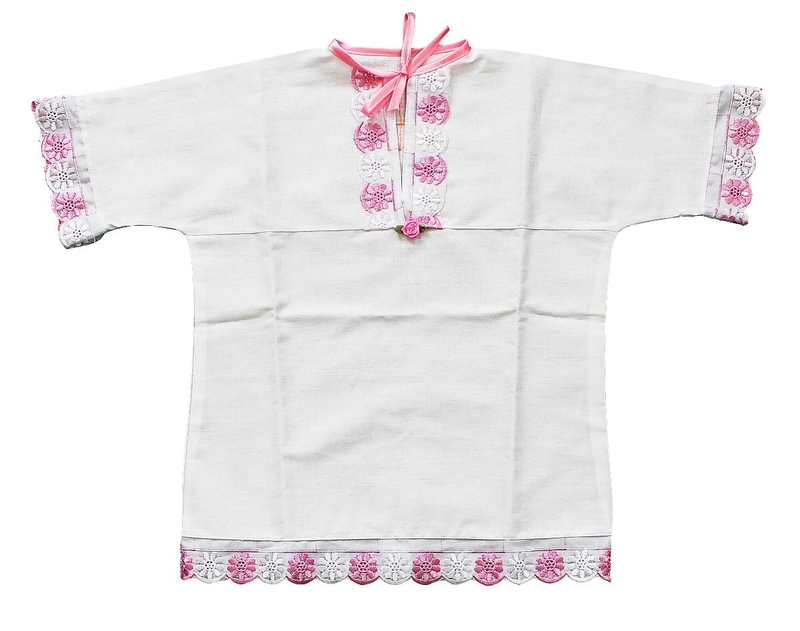 The baby will look picture perfect when he or she is dressed on the big day and you’ll have many happy memories of the event.